Organisations across all sectors are beginning to embrace AI and machine learning technology to enhance operations and achieve greater cost efficiencies. For those public sector organisations facing shrinking budgets and demand for improved services, this technology has huge potential. Some police forces, for instance, are beginning to utilise AI technology to tackle crimes ranging from burglary to terrorism – cutting costs and boosting performance. In fact, a recent report suggested that Scotland Yard could save £30 million and put an extra 545 officers on the streets if it were to adopt cutting-edge AI technology. In addition to cost savings, AI can increase efficiency. Earlier this year, the Serious Fraud Office announced it was using AI-powered technology to step up its fight against economic crime. With the amount of data handled by its digital forensics team quadrupling in the last year alone, AI is now helping to analyse documents and determine if criminal activity has occurred. As a result, staff can spend more time building a case instead of sifting through mountains of data – enabling them to deliver justice sooner, at significantly lower cost. By implementing AI when tapping into the vast volumes of data available to them, public sector organisations can gain access to real-time information and sophisticated insights – empowering them to improve decision-making and deliver services that meet the needs and wants of UK citizens. However, for many organisations, it can be difficult to know where this fits into their wider digital transformation strategy or even where to begin. By considering the following seven steps, they can ensure AI delivers on its full potential. The first step is clearly defining and articulating the particular challenges that need to be solved by AI. The more specific the goal, the better the chance of success. For instance, stating that the organisation would like to ‘improve responses to online queries’ is not sufficiently specific. Instead, using a more defined statement such as ‘aiming to improve response times and accuracy when responding to online queries by 10 per cent – by monitoring response rates and user satisfaction with response’ is much clearer and can be easily understood by all stakeholders. Once the use case has been clearly defined, the organisation must check that the processes and systems currently in place are able to track and capture the right data to undertake the required analysis. Organisations already spend a considerable amount of time and effort on data ingestion and management. However, they will need to confirm that they are capturing the right data in sufficient volumes and with the right variables, such as age, gender or ethnicity. The data quality is as critical to a successful outcome as its volume. As a result, data governance procedures must be a priority. It can be tempting to go straight into a model building exercise. However, it is crucial that an organisation runs a quick data exploration exercise to validate its data assumptions and understanding before moving forwards. This will enable IT to establish if the data is telling the right story based on the organisation’s subject matter expertise. Additionally, this data exploration exercise will help IT to understand what the significant features or variables should – or could – be, as well as considering what type of data categorisations should be created as input for any potential models. Focusing on the hypothesis itself – rather than the end goal of what the hypothesis should achieve – is important. By running tests to find out which variables or features are the most significant, IT can validate the hypothesis and improve its execution. Both organisational and domain experts should be involved given that their continuous feedback will be critical for validation – as well as making sure that all stakeholders are on the same page. The success of any machine learning model is dependent on successful feature engineering so when it comes to deriving better features, a subject matter expert will always be more valuable than an algorithm. Defining performance measures will aid the evaluation, comparison and analysis of results from multiple algorithms. This, in turn, will help to refine specific models further. As an example, classification accuracy – i.e. the number of correct predictions made divided by the total number of predictions made, and then multiplied by 100 – would be a useful performance measure when working with a classification use case. Data should be split into two data sets. The first is a training set (used to train the algorithm) and the second is a test set (against which the algorithm will be evaluated). Depending on the complexity of the algorithm, this could be as simple as choosing a random split of data, such as 60 per cent for training and 40 per cent for testing, or it could involve more complex sampling processes. Similarly to testing the hypothesis, both organisational and domain experts should be involved to validate the findings and ensure that everything is on track. Once it has been built and validated, the model must be rolled out into production. Many choose to start with a limited roll out of a few weeks or months, allowing end users to provide continuous feedback on the model behaviour and outcome. Following this, it can be rolled out more widely. The right platforms and tools should be chosen to automate the data ingestion, with systems created to disseminate results to the appropriate audiences. Ideally, the platform should offer several interfaces – suitable for varying degrees of knowledge amongst end-users. For instance, some may wish to carry out further analysis based on the model results while others will only want to interact with data via dashboards and visualisations. Once published and deployed for use, a model must be continuously monitored. By understanding its validity, an organisation will be able to update it as required. As models are built on historical data yet designed to predict future outcomes, their performance can quick deteriorate as industry dynamics move away from the way an organisation has always operated. As a result, it’s important to be aware of the process which should be followed to keep the model up to date. 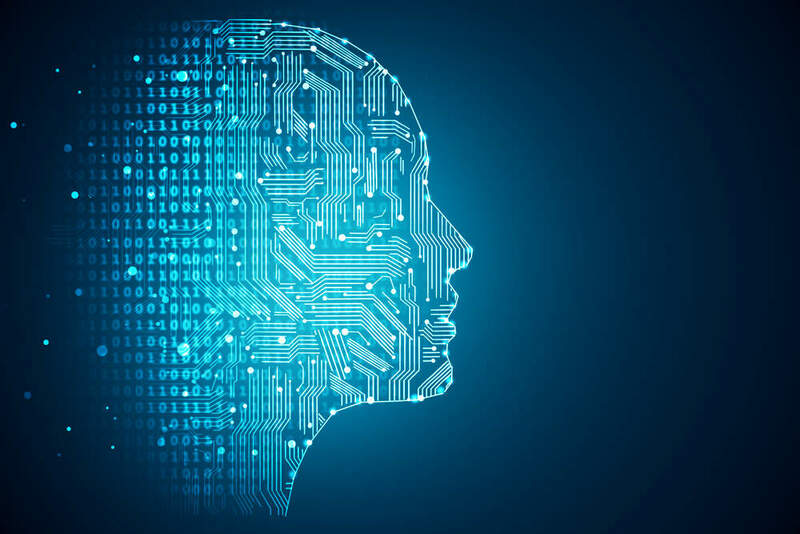 Public sector organisations investing time in planning for AI implementation now are putting themselves in a far stronger position to enjoy the benefits in future – from cost savings to improved decision making. By focusing on overcoming specific challenges or improving certain processes, they can better set themselves up for success.